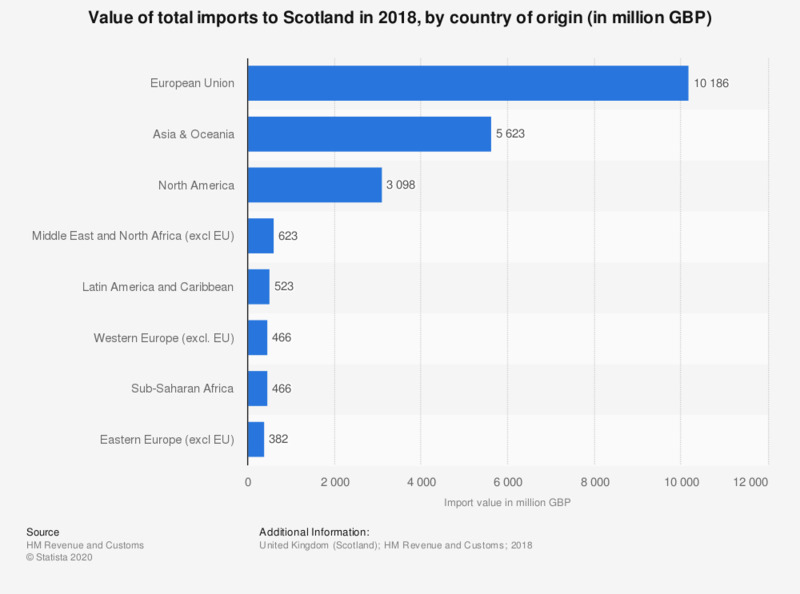 This statistic shows the value of Scottish imports in 2017, by country group. Imports from the European Union accounted for 9.129 billion British pounds worth of goods into Scotland in 2017, the most of any market. In this year, Scotland also imported 6.224 billion British pounds of goods from Asia & Oceanic countries. Although North America is Scotland's third largest export market it only comes in fourth place for the value of imports into Scotland.